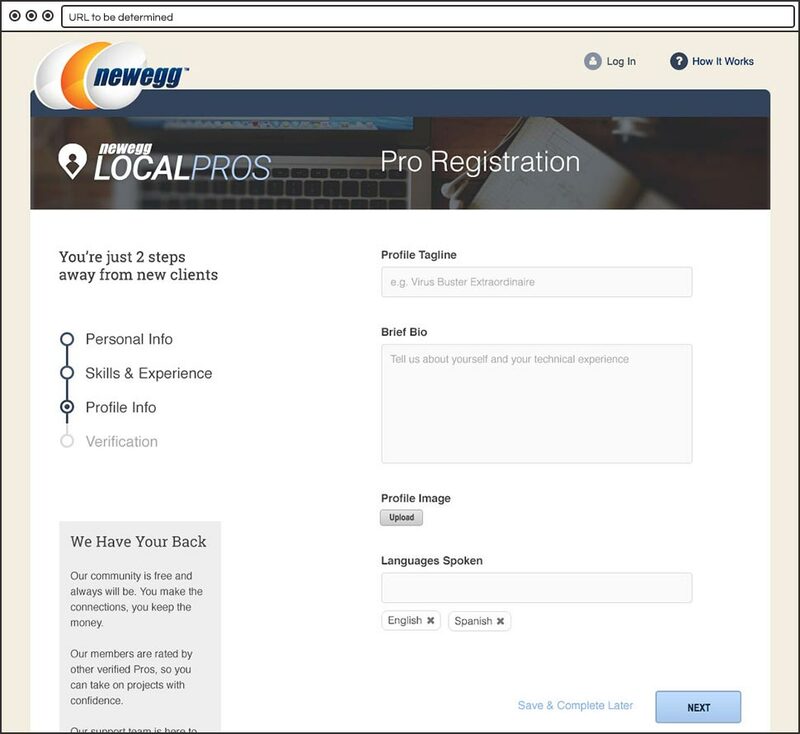 Newegg Local Pros is a platform that allows Newegg customers to both find and provide tech help. I was responsible for the research, ux, visual design, logo design and user testing. Over the years Newegg, an industry leading online retailer of computer hardware and software, has accrued a large user base of tech-savvy customers. 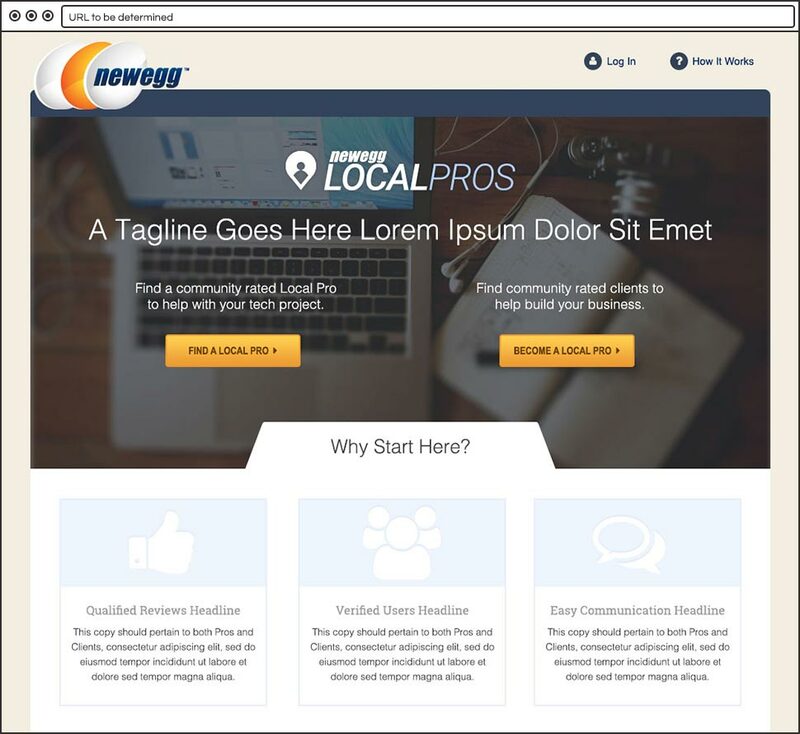 The concept behind Local Pros is to create a free community where those tech-savvy individuals can connect with other users who need their help. The challenges with this project centered around the need to fit a vast amount of new functionality into the existing Newegg site and the obvious fact each step in the process had to serve two audiences: those providing help (Pros) and those in need of help (Clients). The fun started with a great deal of competitive research. 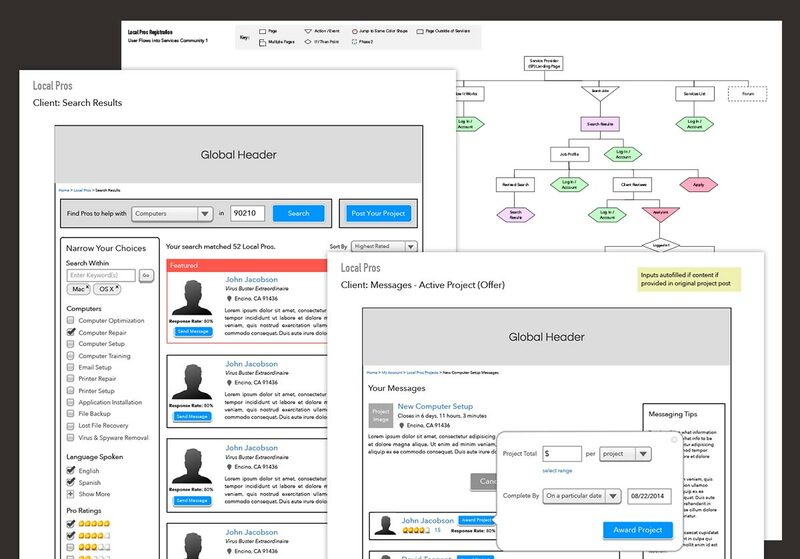 From there I moved into user flows and wireframes. So many wireframes. Once the ux structure was built out, we conducted user testing on key portions of the site like registration, search and messaging. Feedback from our test subjects was overall very positive. Naturally they brought a few concerns to light and helped us refine our flows and content before moving into visual design. After the pages were skinned out, we went through another quick round of testing before working up extensive development notes and handing it off. Local Pros is currently in development.